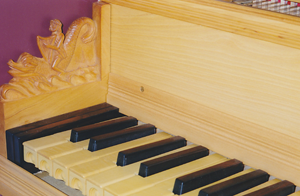 I offer tuning and repair and restoration of your harpsichord, claichord or cittern. If you are giving a concert, I can tune the instruement for you at the recital venue. Please contact me to schedule a meeting to discuss the process by clicking here.